The novel approach to electronic circuit production that Elephantech has developed -- called Pure Additive™ processing -- is based on a totally opposite concept to the conventional method. In this innovative manufacturing method, metallic nano particles are printed only onto the required areas of the board surface, and then electroless plating technology is applied to grow the metal, providing the benefits shown on the below. 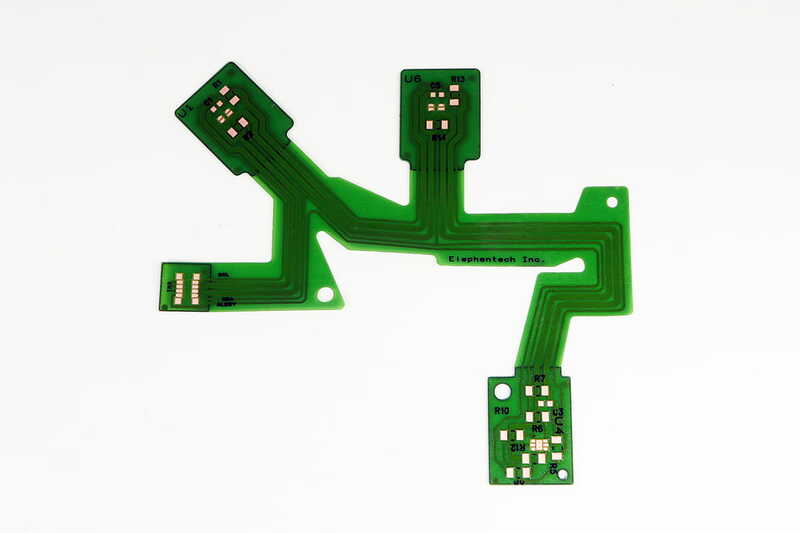 All flexible PCB manufactured by Elephantech fully comply with RoHS and REACH. Both RoHS and REACH are regulatory directives promulgated by the European Union (EU) concerning chemical substances, placing a tight restriction on sales and distribution of noncomplying products within the European Union. While RoHS is a simple directive restricting the use of ten substances, including lead, in products, REACH on the other hand demands a more comprehensive risk management, such as pre-registration and registration with the EU, for over 50,000 types of chemical substances. 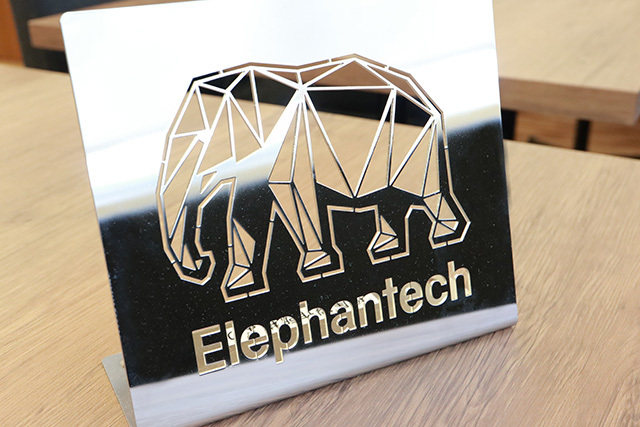 Since the manufacturer is responsible for certifying the compliance to the directive, customers who aim to sell in the EU needed to confirm that Elephantech's flexible PCB complies to RoHS / REACH. 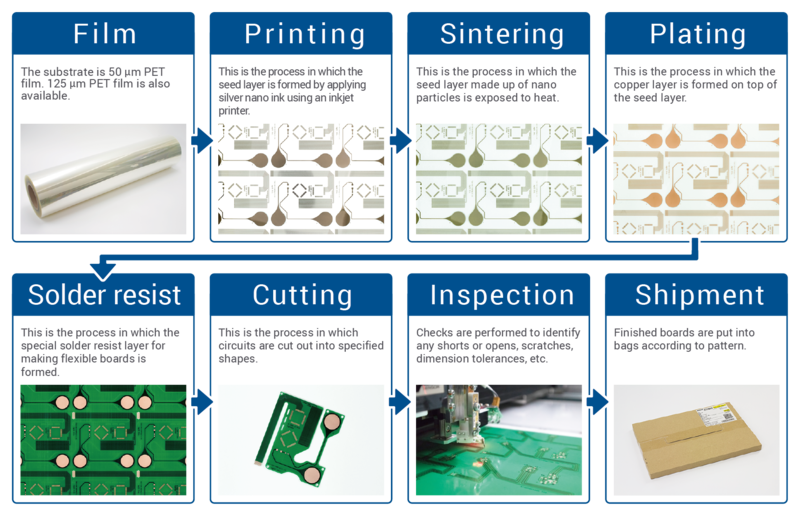 The recent inspection has confirmed that Elephantech's flexible PCB is not subject to either restriction, and Elephantech's flexible PCB may be used in your products without having to take specific actions. The Polyimide-base P-Flex™ (hereinafter P-Flex™ PI) is an FPC (Flexible Printed Circuit) where our very own Pure Additive method(*1) is adapted to polyimides. The PET based P-Flex™ (hereinafter P-Flex™ PET) we had developed and sold until now had issues with its range of use limited by the low heat resistance of PET (roughly 150˚C) and having to use low temperature solder for mounting. This P-Flex™ PI uses polyimides with high heat resistance (roughly 300˚C) as its base material, allowing it to overcome the shortcomings of P-Flex™ PET and improving heat resistance and flame retardancy. 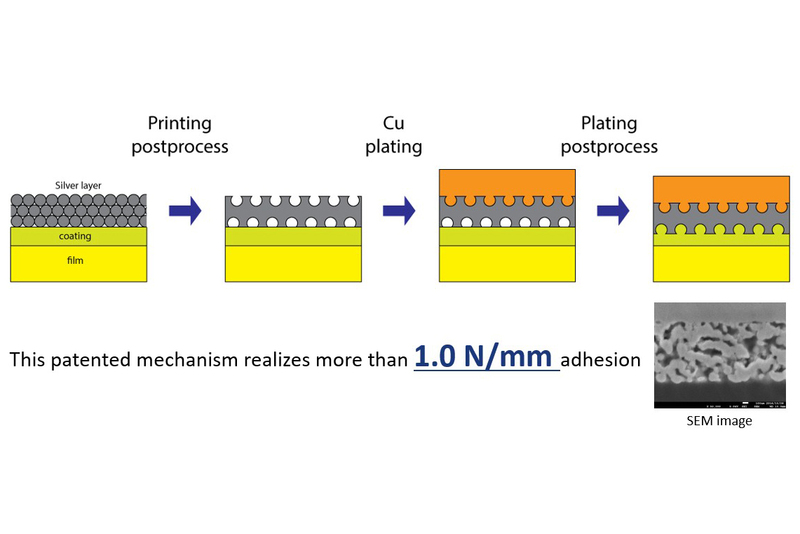 Regarding the mounting of parts, the ability to use normal solder has not only expanded the applications but also greatly improved the mountability, and it can now be used just as if it was any normal FPC. 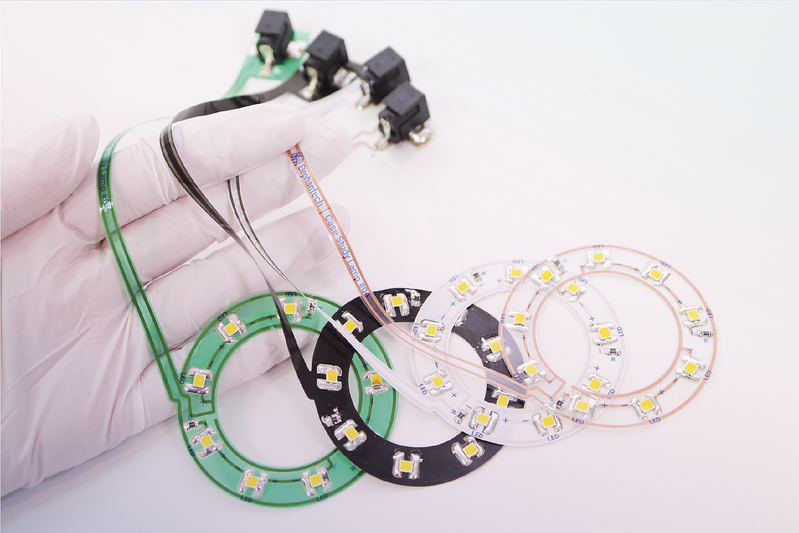 Regarding the color variations for the soldermask, clear, black and white are available as custom silk-screen printed options as well as the standard green color by UV inkjet. -Accuracy and conditions are different from the specifications since the printing method is not UV inkjet. -With the custom silk-screen printing, certain gold plating patterns may be unavailable in some cases. Please contact us for details. *The legend color of P-Flex™ will be replaced from black to white in May 2019 (both PET substrate and polyimide base materials).